I don’t know about you, but I am always looking for some yummy new dessert ideas to try out with the family. 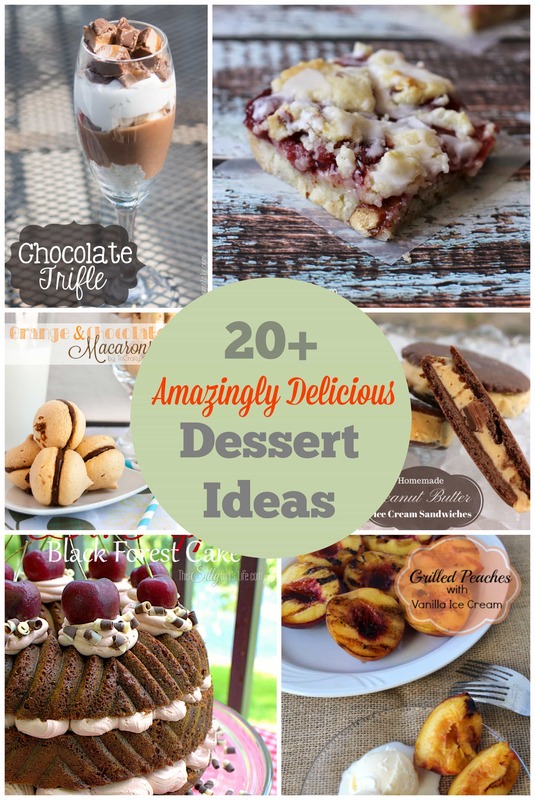 With this group of 20+ delicious dessert ideas, you are sure to find something new. Break out the shopping list and get ready to be AMAZED at some of these delicious desserts. I don’t know about you, but I am always looking for some yummy new dessert ideas to try out with the family. With this group of 20+ dessert ideas, you are sure to find something new. Break out the shopping list and get ready to be AMAZED at some of these delicious desserts. One thing is for sure, you can always count on me to share an amazing dessert. I love to have dessert with my meals. Even if I only take one bite, I think the sweetness just finished my meals perfectly. You can find cookies, cakes, chocolates, and more in this list below. There is something in this list for every dessert loving person in your life. I just haven’t figured out which one I am going to try first! Are you looking for desserts that may be a little healthier? I’ve got you covered. Check out this list of healthier holiday dessert ideas. Are you looking for something to make for dinner to go with your amazing desserts? You might also like these quick dinner ideas. Thank you so much for sharing my recipe – I can’t wait to try these others. They sound AMAZING!!!! Yum….these all sound so fantastic! Thanks for including my Cherry Cream cupcakes, Jen! Happy Friday! Thanks so much for including my macarons! Woot how cool! Thank you Jennifer for sharing my Tropical Fruit Drop recipe. The others sound tasty too.